Takagi Masakatsu is a Japanese composer and multimedia artist whose prolific output spans albums (often issued with visual components), gallery exhibitions, performances, and soundtrack work for film, television, and contemporary dance. His early releases, such as 2001's Pia, consisted of glitchy, collage-like experimental ambient pieces reminiscent of Oval or Nobukazu Takemura. 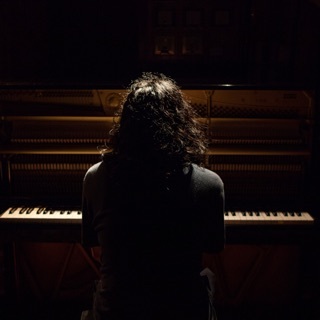 His sound quickly evolved, with ambitious albums such as 2004's Coieda incorporating brighter melodies, acoustic instruments, and pop-influenced songwriting, as well as influences such as jazz, classical, and Brazilian music. 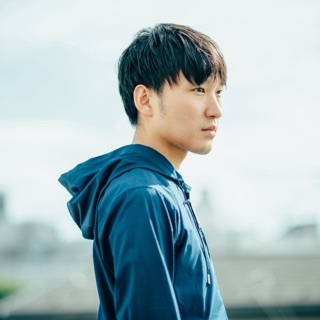 He began scoring films in 2007, and his most well-known soundtracks include the anime films Wolf Children (2012) and The Boy and the Beast (2015). 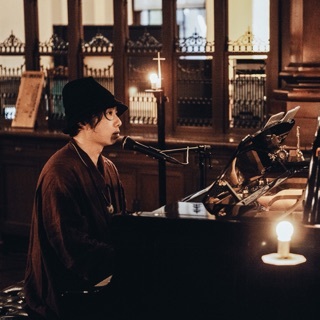 In 2013, he relocated to a small village in order to live a more traditional Japanese life, and his work from this period includes solo piano and vocal albums such as 2018's Marginalia. Masakatsu was born in Kyoto in 1979. He began his career as a visual artist, making videos accompanied by his piano playing. As Silicom, he collaborated with Aoki Takamasa, who provided glitchy minimal techno tracks that were matched with Masakatsu's visuals. The duo performed at various clubs and galleries in Japan, and released two DVDs in 2001 and 2002, respectively. 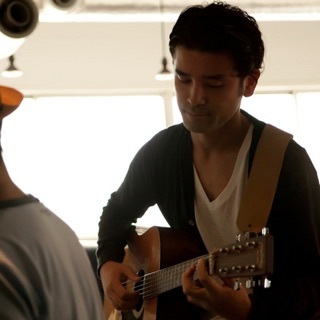 Masakatsu made his solo recording debut with Pia, a CD accompanied by a CD-ROM of short films, which was issued by Carpark in 2001. The critically praised release was followed in 2002 by Opus Pia, Journal for People (also released as a DVD), and Eating, his first release for Karaoke Kalk. With that album and its 2003 sequel, his sound became significantly less abstract and more melodic. Eating 2, in particular, was quite playful and childlike. Two additional 2003 albums, Rehome and Sail, were easily his most pop-oriented works yet, both featuring vocals by Toma Itoko and much catchier rhythms than his previous material. The latter also included a remix by Cornelius, and was co-executive produced by Yellow Magic Orchestra's Haruomi Hosono. During this especially prolific year, he also collaborated with Masakatsu and Ogurusu Norihide on a CD titled Come and Play in Our Backyard, released a DVD titled World Is So Beautiful, and began providing concert visuals for David Sylvian. In 2004, Masakatsu released Coieda, an ambitious CD/DVD package that included a guest appearance by Sylvian and a heavier focus on Brazilian-influenced rhythms and acoustic guitar melodies. After spending 2005 concentrating on touring and commissioned work, he released the full-length Air's Note (featuring a collaboration with Aqualung), as well as Bloomy Girls, a "visual book" consisting of a DVD of short films and a 136-page art book, in 2006. Private/Public, a recording of a fully orchestrated 2006 concert, was issued as a CD/book set in 2007. During the same year, Say Hello for Me, Masakatsu's first feature-length soundtrack, was released. In 2009, Masakatsu released Tai Rei Tei Rio, an entirely acoustic album accompanied by a "book of related myths." Performances of the album's material were released on the 2010 DVD Aruongaku. The EP Nijiko and full-lengths Niyodo and Tama Tama both appeared in 2011. Masakatsu began a fruitful partnership with anime director Mamoru Hosoda beginning with 2012's Wolf Children. Masakatsu's heartwarming soundtrack was subsequently released internationally, to much acclaim. An additional soundtrack, Kyoryu Sensei, was digitally released in 2013. Masakatsu's solo works were compiled on Omusuhi (2013) and Kagayaki (2014), two double-CD sets accompanied by picture books. Bibliophina, a jazz collaboration with Yoshie Nakano, Tatsuya Nakamura, and Chie Morimoto, also appeared in 2014. Masakatsu's career as a soundtrack composer continued with The Kingdom of Dreams and Madness and Hosoda's The Boy and the Beast, both from 2015. The live recording Yama Emi was issued by Novus Axis in 2016, followed by Ymene in 2017. The following year, Masakatsu's score for Hosoda's film Mirai (known in Japan as Mirai No Mirai, or "Mirai of the Future") was released. Masakatsu also issued Marginalia, a selection of the solo piano pieces he had begun recording at his home and uploading the previous year.